Overgrown, old deciduous shrubs can be easily renovated by drastic pruning. After this, annual pruning will stop them getting out of hand again. Regrow on a shrub that has had hard, renovation pruning. Shrubs that lose their leaves in winter (deciduous) can be easily renovated by drastic pruning. Renovating evergreen shrubs is slightly more difficult. Not all shrubs respond well to renovation; in these cases it is best to attempt staged renovation or replace the shrub. Renovate deciduous shrubs between autumn and spring, usually between November and March. The aim of most pruning is to keep plants healthy and improve flowering, by removing older, less productive wood. Over time, if shrubs have not been regularly pruned, they can become overcrowded, and less productive. Hard pruning usually stimulates strong new growth, but unfortunately will result in the loss of flowers for a year or two for some shrubs (particularly those, such as Philadelphus and Camellia, that flower on the previous season’s growth). You can renovate shrubs in two ways: robust shrubs can be completely renovated in one year, but where the response is unknown, carry out a staged renovation instead. Cut all stems 10-20cm (4-8in) from the ground or to branches low down, 20-45cm (8-18in) in the shrub. Follow up this hard pruning with a feed and mulch in spring. This growth may need subsequent thinning out to select the strongest, best placed shoots. In the first year remove dead, damaged, diseased, crossing and rubbing shoots down to ground level, aiming to remove up to half the shrub. Cut back remaining older stems by half, to a vigorous side shoot or healthy outward-facing bud. In year two thin out new shoots if excessive, and cut back or shorten the remaining older branches. In the third year remove any remaining older stems. In subsequent years return to the normal pruning regime. Follow up heavy pruning with a feed and mulch in spring. 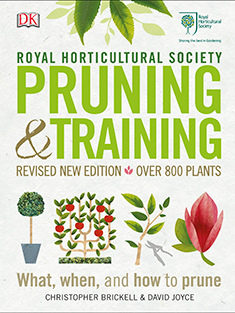 Take care not to cut back below the scion (link to glossary) in grafted plants. Severe pruning may result in growth from below the scion, which should be removed. Weak or sickly plants are best replaced. Improving the soil before replanting will get a healthy young plant off to a good start. It is worth trying to propagate older shrubs or plants of sentimental value before heavy pruning in case they do not recover. Choose young growth for propagation material. While pruning, you may notice some of the following diseases and problems; coral spot, bacterial canker, bracket fungi and verticillium wilt. Non-flowering woody plants can also be troublesome.